With much anticipation we made our way to Chloe’s camp for visiting day this morning. When we arrived, Chloe and her friends were looking out the back window of the bunk, waiting eagerly for their families to arrive. We had a great day. We were thrilled to see Chloe and Chloe was excited to see us. Sophie was especially excited to spend time with her sister and they remained glued at the hips for most of the day. We had planned to spend time at the camp going swimming and doing other activities, but Chloe wanted none of that. She wanted to have lunch at a “real” restaurant and walk around town. So we took her to a local Italian joint and she was happy with garlic bread, juice (“real” juice as opposed to crappy camp juice) and pizza. The food was mediocre, but when you’ve spent the last two weeks eating institutional camp food, mediocre just about qualifies as gourmet. 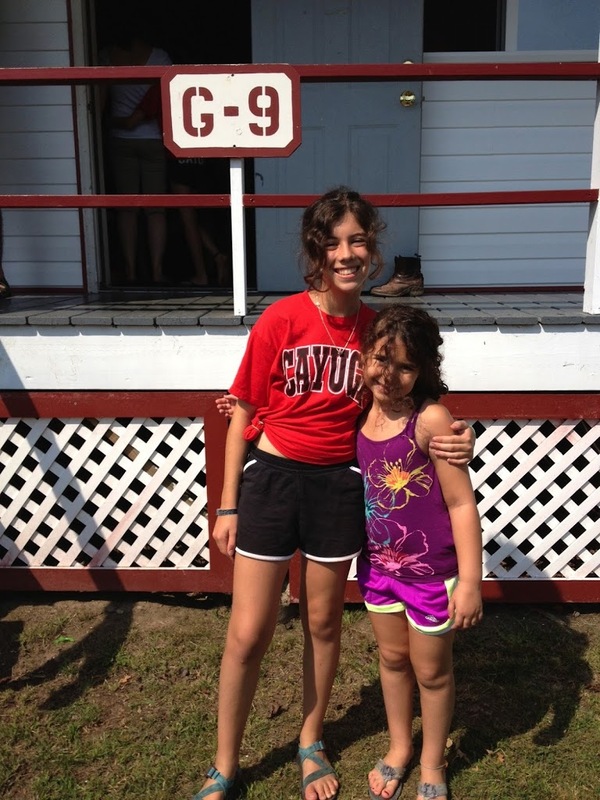 For all of the complaints about camp Chloe’s enumerated in some of her letters, she’s having a fantastic time. She loves her counselors and her bunkmates, and she’s been keeping incredibly busy. Indeed, when I told her that I was concerned about the lack of “rah rah camp!” in her letters, she was shocked. In her mind, she’s obviously having a great time. But she writes about the “stupid” stuff because it’s interesting. Go figure. I told her we were glad that she’s extolled the virtues of camp in her letters to Sophie, because we’d otherwise have no real sense of how much fun she was having. I asked her if she was happy she signed up for four weeks instead of two. She said she was, but that she was really glad it was visiting day. Yep, Chloe misses us. That admission warmed the cockles of my heart. And what touched me even more is that when we said goodbye, she hugged me tighter than she has in years. A real hug. A hug that conveyed, “I love you and I miss you and thank you.” It was awesome.